Episode #34 – Remakes: Out of the Past & Against All Odds | That's a Wrap! In this episode, Erik, Nick and Chris introduce a new feature!! Original Films and Their Remakes. 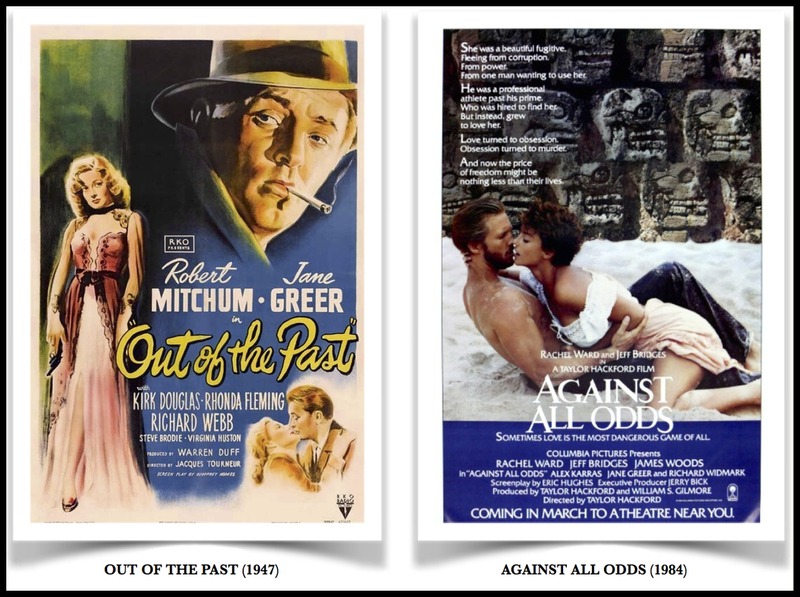 They inaugurate with the 1947 film noir classic Out of the Past and its updated version, Against All Odds from 1984. Here is the amazon page of Nick’s upcoming book! It will be released in July, 2015. Here is the music video for Against All Odds by Phil Collins. It was written explicitly for the film and won the Grammy for Best Pop Vocal Performance in 1985. It was Collins’ first #1 hit! This American Life episode in which Phil Collins discusses how to write the perfect breakup song.